While Android had support for folders since the very start, iOS only got them in 2010 with iOS 4. The third OS in the so called “three-horse race” – Windows Phone 7 – still doesn’t have any folder functionality but a homebrew solution has emerged today and it is what we’ll be talking about in this post. The homebrew solution – which is aptly named Folders for Windows Phone Mango – comes from the folks over at Windows Phone Hacker. It was first demonstrated about a week ago and has been released today after it saw high demand from the community. After there was evidently a huge demand for Folders on Windows Phone after our demonstration, we’ve prepared the project for public release. Setting it up is quick and easy, but at this stage, it will require the Folders Config desktop application to use. This application is simple: add folders to the list, and add applications to the folders. 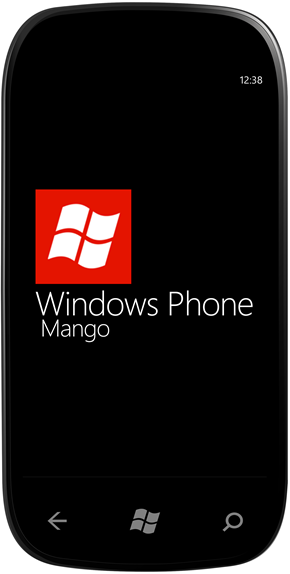 If you want Folders for Windows Phone Mango on your device, you will need to have a developer-unlocked device on Windows Phone 7.5 Mango. 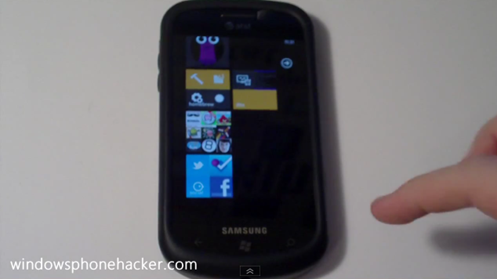 If you haven’t got one already, you will have to wait for the $9 ChevronWP7 unlock. Step 1: Download foldersconfig_v1.zip from WP Hacker here. Step 3: Create a new folder and add applications to it. Step 4: Now connect your WP7 smartphone to your PC and sync it with Zune. Step 5: Unlock the phone (i.e. ensure that you are on the Start screen) and click Deploy from the Folders Config app on your PC. Step 6: You will see an application on your phone with a list of folders. Tap and pin them one-by-one. We’ve tested the app on an Omnia 7 and can confirm that it works as claimed. It isn’t as easy to set up as it is on Android and iOS, but it works great after the initial step. We’re hoping that the developers will come up with some way to implement it so you won’t need a PC to set up folders. Maybe Microsoft will include support for folders in the next version of Windows Phone 7. Maybe! Be sure to check out our Windows Phone Apps Gallery to explore more apps for your Windows Phone 7 smartphone.